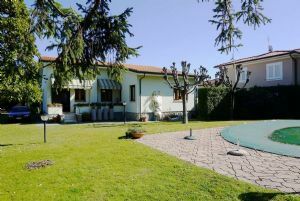 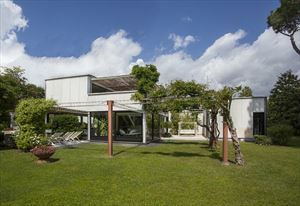 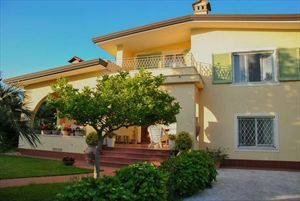 Real estate Forte dei Marmi: Classic villa with garden located in the central area of Forte dei Marmi, about 600 meters from the sea and from the central square of the city. 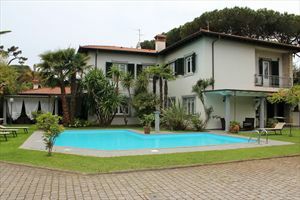 Classic villa with garden (300 sqm) located in the central area of Forte dei Marmi, about 600 meters from the sea and from the central square of the city. 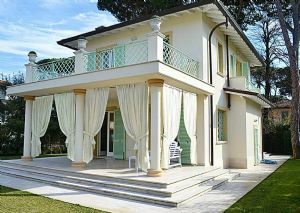 Equipped with alarm system, air conditioning, internet access, satellite TV, gate, barbecue. 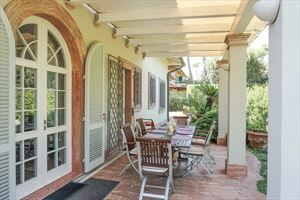 Ground floor - outdoor terrace with dining table, porch, living room, dining room, kitchen, single bedroom, bathroom with shower, double bedroom, bathroom with shower, master bedroom with large bathroom with Jacuzzi and shower. 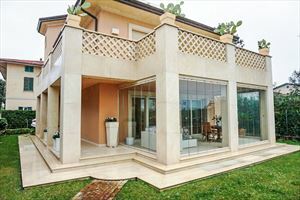 First floor - living room, study, bedroom, bathroom with shower.